If you're a motorcyclist who resides anywhere that experiences miserable winters, you are probably chomping at the bit to get back and ride. It is only a matter of time until the temperatures rise so you might as well look into some of the new hot weather gloves from Alpinestars. The SMX-1 Air gloves and SP-Air gloves are hot new gloves to keep you cool. 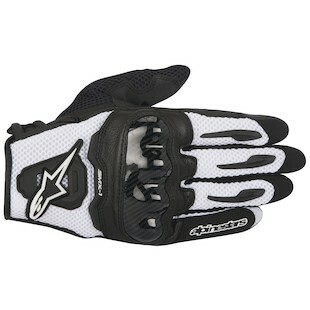 The Alpinestars SMX-1 Air Gloves use full grain leather in the palms for abrasion resistance. Mesh panels flow air to keep your hands from getting to sweaty in the summer heat. Carbon knuckles backed by EVA foam absorb energy from slamming into the pavement. You can stop your search for a short cuff leather and mesh glove. The SMX-1 Air is for the rider who doesn't want to bother with a hot gauntlet, but who still wants some protection. 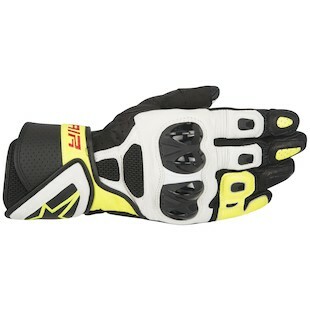 The Alpinestars SP-Air Gloves split the difference between a full leather gauntlet and a mesh summer glove. The full grain leather helps to keep your digits intact while the mesh panels on the back of the glove vent to keep your hands cool. The bridged ring and pinky help prevent finger separation and contortion common with lowsiding. This summer sport gauntlet gives you more coverage without overheating. You won't have to day dream about riding too much longer. 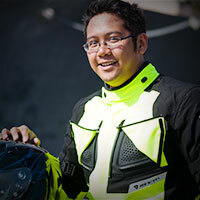 Punxsatawney Phil said only a few more weeks of winter so start checking out the new hot weather gear from Alpinestars. The Alpinestars SMX-1 Air and the SP-Air gloves should be at the top of your list.